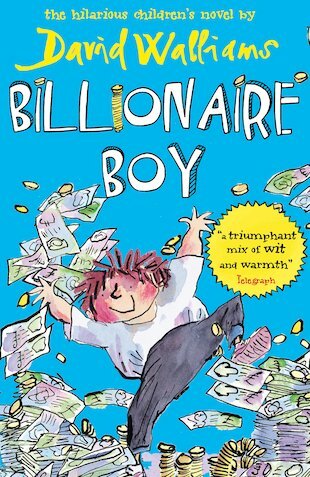 I found this book funny and very good, but I found it quite childish and unrealistic in parts – it is for a young age group, but it was a light and funny read, which is great for younger readers wanting comedy, fun and a little bit of real life, this book is good. Its amazing I loved it! it was brill! go billionaire Boy!!!!!! THIS BOOK IS AMAZING YOU SHOULD GO AND BUT IT IT GRIPS YOU IN ON EVERY SINGLE PAGE!!!!!!!!! I thought this book was fantastic and it was good that it was quite long. I would love to live in Joe Spud’s house! On the Scholastic Book Club Website, I read the Look Inside on it, and for the first twenty-odd pages,I really enjoyed reading the book.I wish I could have read more of the book to find out what happened, but it was the end of the Look Inside.A fantastic joy to read.Recommended for ages 9+ to get some of the jokes and read some of the words.Hope I can buy it myself!!!!!!!!!!!!!!!!!!!!!!!!!!!!!!!!!!!! !